Dissolve 1 serving in 400 ml of water. 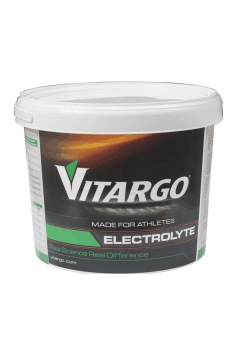 Use before, during and/or after training to provide carbohydrates and energy for the body. In case of standard training length, use after ending it or alternatively before training. In case of training sessions longer than 2 hours it is worth adding a portion, dissolving in water and sipping during training. Pre-workout nutritional supplement. Boost energy and helps achieve maximum performance and focus. Serrapeptase of high bioactivity. Helps to dissolve clots and regulates the mucus production. Advanced pre-workout formula for demanding users. Boosts physical performance and motivation. Supplement containing creatine monohydrate. Increases strength, and accelerates regeneration and improves anabolism. Powerful combination of vitamins, minerals and probiotics formulated to boost immune system. Intensive pre-workout supplement. Adds energy and promotes exercise and cognitive abilities.